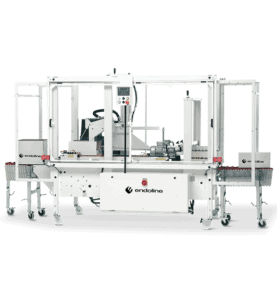 Endoline design and manufacture a range of high specification case sealers to increase the productivity and efficiency of any case sealing operation. 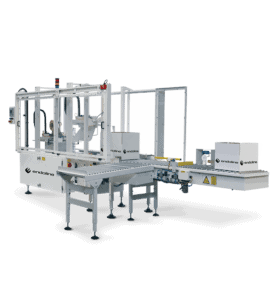 Pre-set or random case sealers are available in semi-automatic or fully-automatic models. 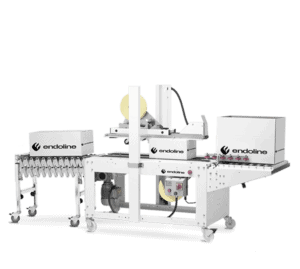 Endoline provide hot melt glue sealing machines or self-adhesive tape sealers. 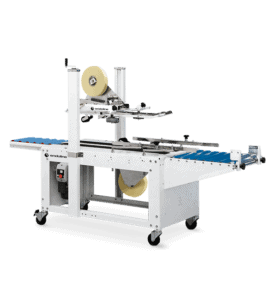 From semi-automatic to fully-automatic, each random system seals different size cases in any random order with self-adhesive tape or hot melt glue. 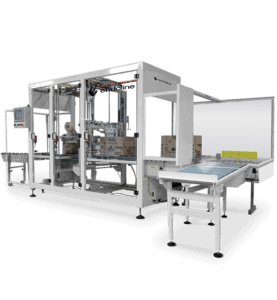 Ideal for manufacturers who run a range of different size cases at any time or who wish to integrate a number of packing lines into a single machine to utilise space. Each system incorporates unique performance-enhancing design features and are available as entry level or high speed machines capable of sealing up to 30 cases per minute throughout the full case size range of the machine. 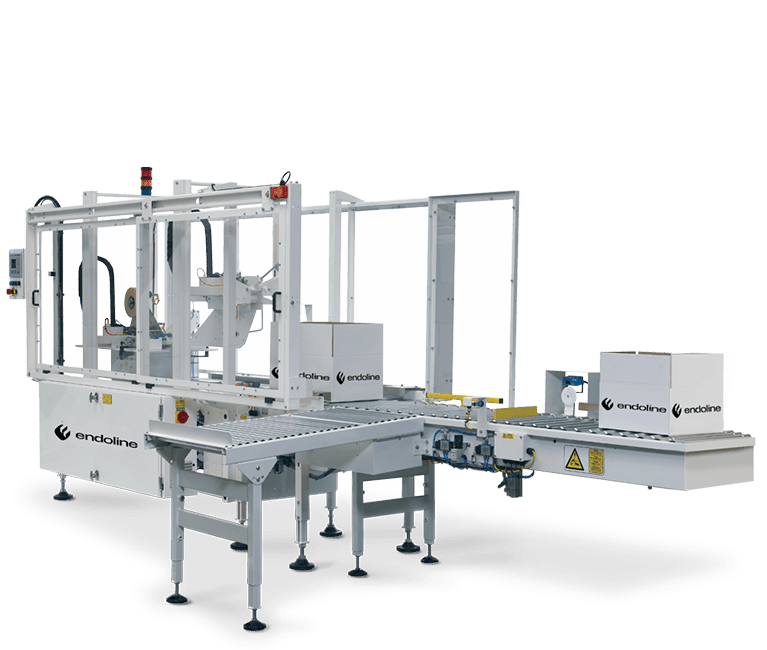 Any of Endoline’s case sealers can be modified to suit a specific application, from cases outside the standard size range to specific requested components. Endoline’s engineering expertise can look at any request for an application to help meet your requirement. 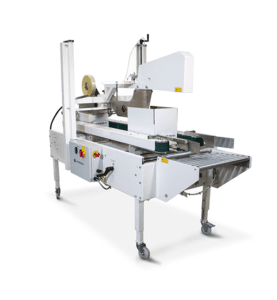 The Endoline case sealer machine range is designed to give you the best possible value for your investment through maximum productivity with minimal stoppage time. All Endoline’s machines are built for 24/7 operation and require little maintenance offering a long life expectancy resulting in a low cost of ownership.